There's no end to the versatile experiences awaiting you with an InStep trailer. Whatever you can think of is possible with InStep. Your next adventure is just a ride away. 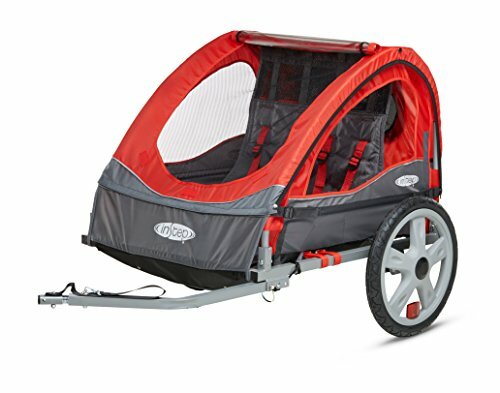 Take your children along for the ride with the InStep Take 2 double tow-behind bike trailer carrier. 16-inch pneumatic tires with molded rims provide performance, safety, and timeless style. A five-point harness and safety flag ensure your riders are protected. 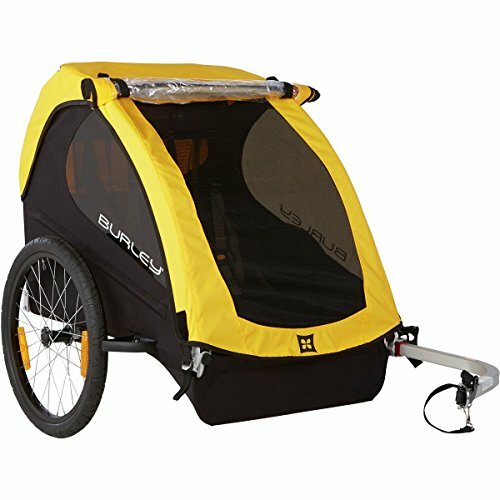 The folding-frame design and quick release wheel make for quick and easy assembly, storage, and transport. 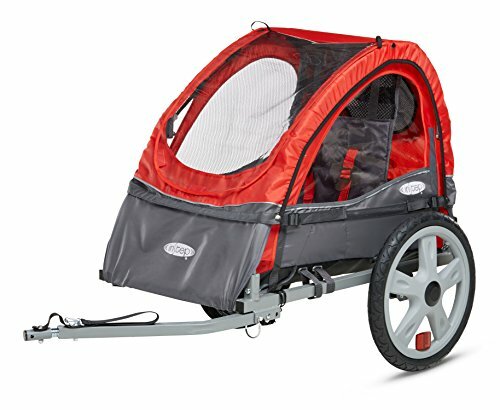 Designed to protect your child from the elements, a 2-in-1 canopy features both a bug screen and a weather shield with rear vent window. 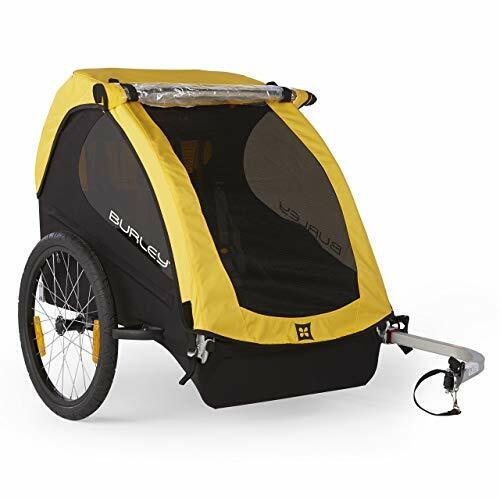 This tow-behind child carrier fits most bike styles, thanks to a versatile bike coupler. The maximum weight limit is 80 pounds (two 40-pound children) with an additional 12 pounds in the rear-seat storage area. Some assembly is required. There's no end to the versatile experiences awaiting you with an InStep trailer. Whatever you can think of is possible with InStep. Your next adventure is just a ride away. 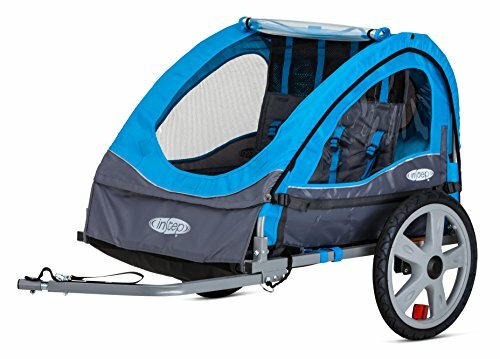 Take your child along for the ride with the InStep Sync single tow-behind bike trailer carrier. 16-inch pneumatic tires with molded rims provide performance, safety, and timeless style. A five-point harness and safety flag ensure your riders are protected. 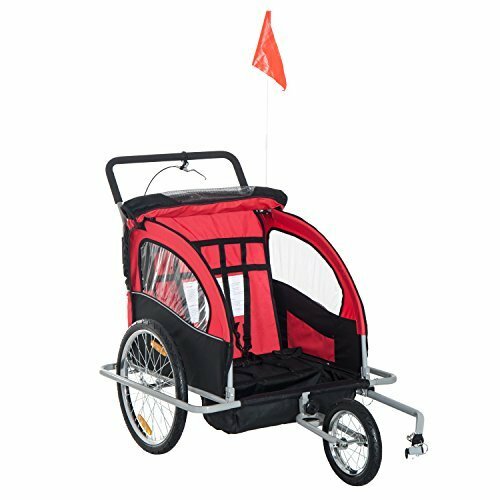 The folding-frame design and quick-release wheel make for quick and easy assembly, storage, and transport. 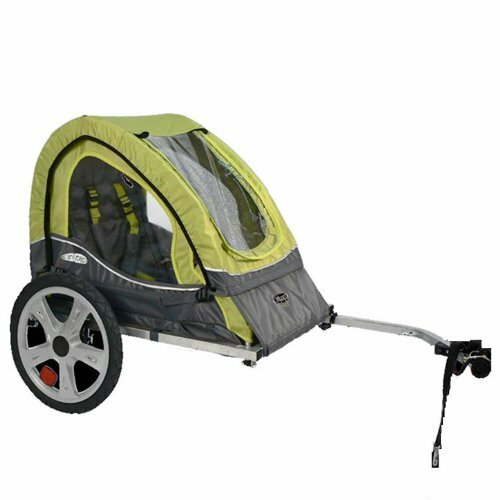 Designed to protect your child from the elements, a 2-in-1 canopy features both a bug screen and a weather shield with rear vent window. 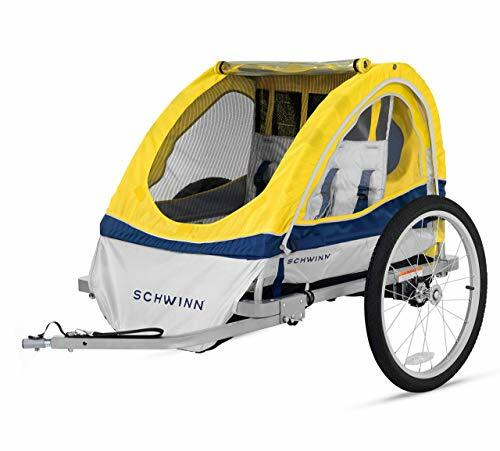 This tow-behind child carrier fits most bike styles, thanks to a versatile bike coupler. The maximum weight limit is 40 pounds with an additional 12 pounds in the rear-seat storage area. Some assembly is required. This tow-behind child carrier fits most bike styles, thanks to a versatile bike coupler. 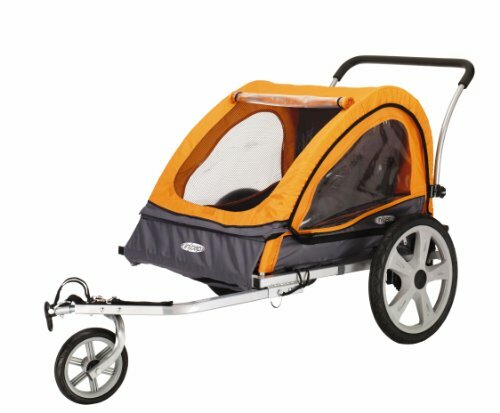 The maximum weight limit is 40 pounds, some assembly is required, and this trailer comes with a 1 year limited warranty.